What fascinates me most about the narrative, however, is the extent to which it parallels my experiences as a community-college professor and administrator. As I follow the political machinations of the fictional court at King’s Landing—the alliances and conspiracies, the jealousies and betrayals, the dalliances and beheadings—I am frequently put in mind of actual people I have known and events I have witnessed over my 27-year career. Sometimes I wonder if George R.R. Martin isn’t really just a pen name for some old colleague of mine who has been secretly plugging away all these years at a monstrous roman-à-clef. I suppose that is an indictment of community colleges, but I believe it is a fair one. Because, truth be told, for all of their many fine points and all the good they do for society, community colleges have historically been rather bad at governance, to say the least. On many two-year campuses, if not most, corruption, cronyism, abuse of power, and fiefdom-building constitute business as usual. I make that observation as someone who has worked at five two-year colleges and visited dozens more, who corresponds frequently with colleagues around the country, and who reads everything available about community colleges. But the truth of what I’m saying should be obvious to anyone who has followed recent high-profile cases involving alleged corruption and mismanagement at two-year institutions in Alabama, Arizona, California, Florida, Georgia, Maryland, New Jersey, and New York. To name a few. Her statement seems to still hold true today for most of the country’s community colleges. Despite the best efforts of many faculty members, some administrators, and national organizations such as the American Association of University Professors and the National Education Association, true shared governance has still not become the model of choice at most two-year campuses. Over the years, the two most common forms of governance I have observed are what I would characterize as feudalism and Soviet-style dictatorship. What the two models have in common, of course, is that both are authoritarian in nature. Both feature relatively small groups of sycophants who place themselves in orbit around the leader, jockeying for position and seeking to consolidate their own power through flattery and zealous support of the official agenda. Neither model is particularly kind to dissidents or independent thinkers. One difference between the two is that, under the feudal model, shared governance is paid only the barest lip service, if any at all. Some of the organizational bodies necessary to support shared governance, such as a faculty senate, might exist in name but are only window dressing, without any legitimate function. The Soviet model, on the other hand, tends to have all of the trappings of democracy, or (in this case) shared governance—faculty and staff senates, policy councils, standing committees. Their meetings are often conducted with great fanfare. But in reality they are under the iron-fisted control of the leader and his or her cronies, and every decision made is part of the approved agenda. Another important difference is that a feudal lord or lady may, on occasion, be relatively benevolent. The dictator is rarely, if ever, that. For those reasons, the Soviet model, which may on the surface seem to embrace shared governance, is, if anything, even more inimical to it than feudalism is. The same people tend to be named to the most important committees, over and over. Those people, instead of more-qualified colleagues, are ultimately rewarded for their “service” with promotions or other key appointments. The committees always seem to reach conclusions or submit reports that are widely praised by the leader. Those who disagree find themselves released or disinvited from future committee service, while known dissidents are never invited to serve in the first place. Anyone who dissents too loudly or too publicly is punished, often in a highly visible way, in order to serve as an object lesson to others. Of course, authoritarian leadership is not peculiar to two-year campuses. Recent history has shown that even some of the nation’s most prestigious research universities are not immune, as presidents, provosts, trustees, and deans (not to mention powerful football coaches) have been known to engage in a fair amount of fiefdom-building. But I believe that community colleges are especially susceptible to the phenomenon, for several reasons. The first is the growing trend of community-college presidents who have never been full-time faculty members. These days, most chiefs of two-year colleges seem to have backgrounds in other areas: business and industry, law, elementary and secondary education, or student services. Many, in fact, are not even qualified to teach anything offered on their own campuses. They hold graduate degrees in areas like higher-education administration. There’s not necessarily anything wrong with such degrees, but I think it’s problematic when too many leaders see a doctorate purely as a credential—as a ticket to a high-paying, upper-level administrative position—and not as a mark of scholarly achievement. The proliferation of online doctoral programs offering those sorts of degrees illustrates the problem. Such degrees tend to be expensive and often do not carry a great deal of prestige, but do technically qualify the recipient for one thing: to be a community-college president. I also believe that it is potentially a problem when the president of a college has no significant experience as a faculty member and, therefore, cannot even remotely relate to faculty concerns or understand how a college faculty is supposed to function. In my experience, such leaders can even be openly hostile to true shared governance, which, to their way of thinking, gives the faculty far too much power. Couple that attitude with a natural affinity for the kind of top-down leadership that is standard operating procedure at most companies, and it’s easy to see how a president can quickly earn a reputation for being heavy-handed and dictatorial. Another reason community colleges seem especially susceptible to authoritarian governance models is closely related: the “corporatization” of the American campus. Other academics, including (notably) the former AAUP president Cary Nelson, have commented on this trend at great length, but suffice it to say: The corporate model, while no doubt affecting nearly every institution in the country to some degree, has gained a solid foothold at community colleges, where it has found a group of leaders predisposed to embrace it. Finally, governance at community colleges tends to flow top-down because of the pervasive nature of what I have called in previous columns the “13th grade” mentality. For some people, community colleges are not “real” colleges but rather occupy a place somewhere between a high school and a university—perhaps closer to the former than to the latter. Plenty of people in government, and even within the two-year institutions themselves, believe that community colleges should be run much like high schools, with strong, autocratic leaders and little or no input from the instructors. Whatever the reason, it’s obvious from the headlines that governance and leadership are especially thorny issues for many two-year colleges. Our failure to embrace true shared governance has, it seems, opened the door to corruption, mismanagement, and abuse of power. The results might not be quite as dramatic as George R.R. Martin’s novels, but then again, you can never be too sure. If you don’t hear from me again after this column is published, you can assume that I’m probably in a dungeon somewhere, awaiting my execution—figuratively speaking, of course. Rob Jenkins is an associate professor of English at Georgia Perimeter College and author of Building a Career in America’s Community Colleges. 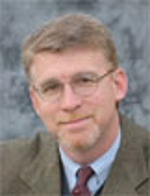 He blogs at www.academicleaders.org and writes monthly for The Chronicle of Higher Education’s community-college column. The opinions expressed here are his own and not necessarily those of his employer. This article was originally published in The Chronicle of Higher Education, September 24, 2012.